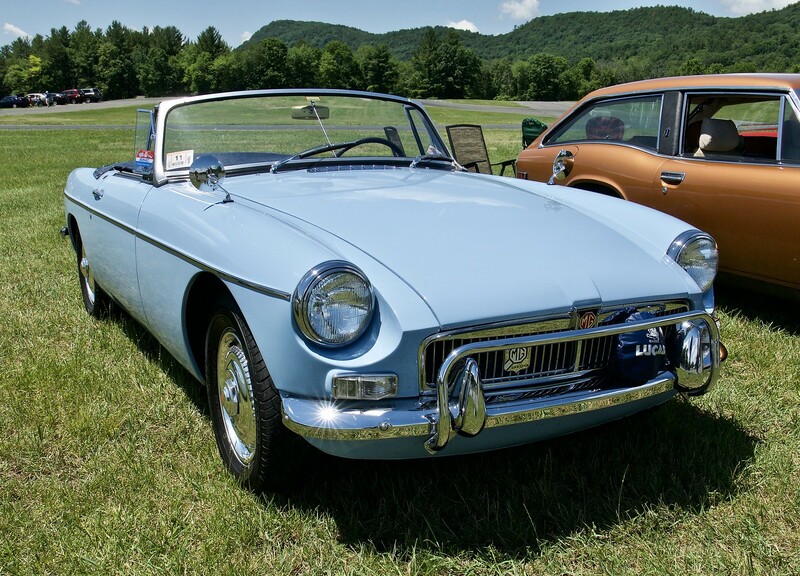 An MGB I photographed several weeks ago at Lime Rock. How well I remember that colour A friend had one in the same shade. And I would have killed for those registration plates! Very nice shots of a great classic. Most popular was Red but you'd see the odd Powder blue ones around. Love the color! I once owned a '68 Beetle in that color - I got quite a few comments on it - lol. Nice shooting. Thanks very much. Believe it or not, I didn't notice the plates until I PP'd the shot a few days ago. Yup, I remember 'em, EM. 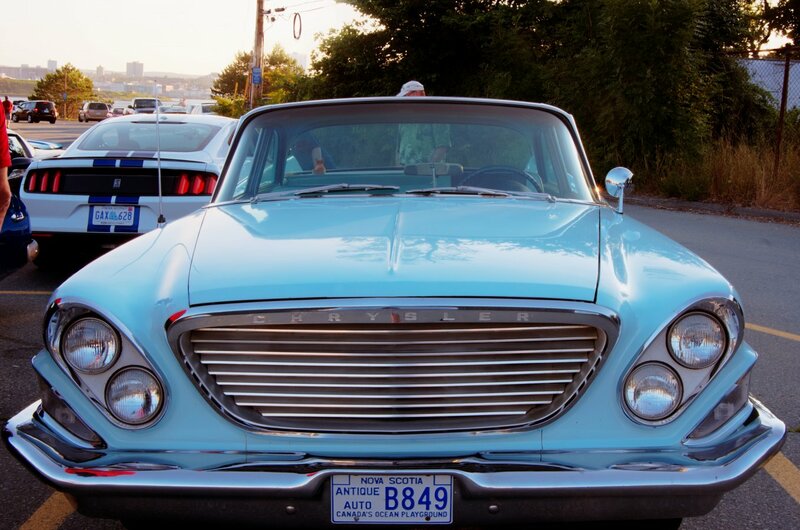 Actually, in the states, this color was very common on a number of cars in the '60s. By the way what model is the bronze painted vehicle beside the MG? In the 60's we used to see a lot of cars that colour. Victoria Police had a whole fleet of them; it was their standard car colour. There may have been other vehicles, but we are talking 50+ years ago!! It turns out that the bronze car is a Jensen GT, derived from the Jensen Healy - a two seater. (Thanks once again to Kerrowdown for the Google link). I posted a full picture of the Jensen in an earlier thread which - as of now - is still on the first page of the Post Your Photos section. Same here in the states, Rod. That shade of blue showed up on a lot of cars. I remember riding in a black Anglia sedan in the late '50s, shortly before my dad bought us a new 1958 Morris Minor convertible, in which I learned to drive a few years later. Now that you mention it my eldest cousin had one of those in that colour. 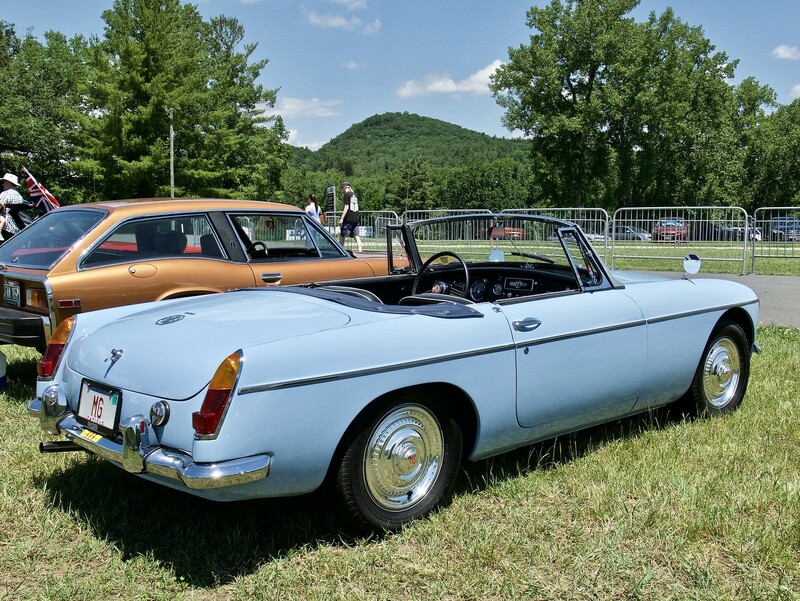 Thank you for that ID - my guess was a Jensen because of the design of the rear but I am only familiar with the Interceptor but that is a longer vehicle. Great cars, great shooting Jer. Prior to my encounter with this GT, the Interceptor is the only Jensen I've come across. Nice shot of the Newport. I haven't seen one of these in years.